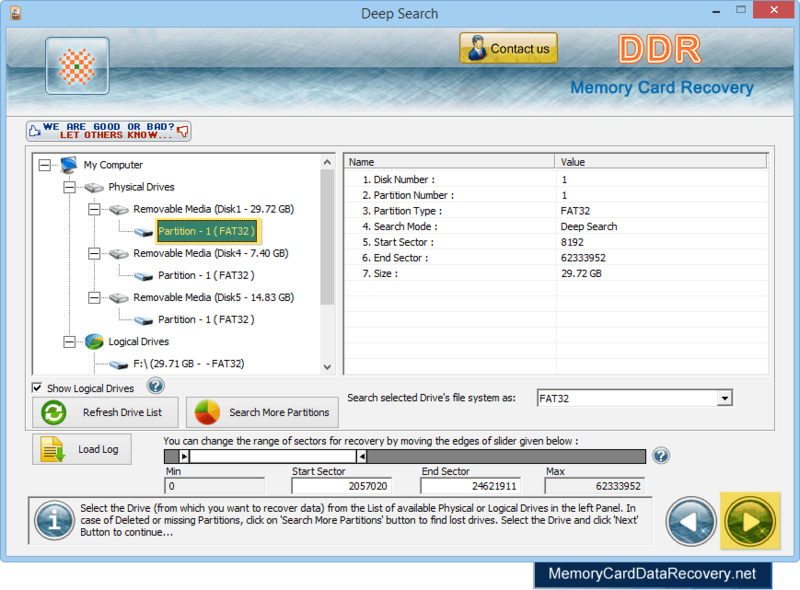 Memory Card Recovery Software is an utility for the lost file recovery from memory card storage media. Program is designed to easily retrieve accidentally deleted or missed data from USB memory card devices. Simple yet to provides the safe and easy restoration of data including photographs, pictures, music, video clips etc even if memory card media has been logically corrupted. Professional utility recovers files that have been lost or deleted from memory card with support to major memory card formats including: xD-Picture Card, Secure Digital SD (mini SD, micro SD, SDHC, SDHC Plus), Multimedia Card MMC, Memory Stick (MS, MS Pro, MS Pro DUO, Micro M2), Compact Flash Card CF and equivalent memory card formats. Software recovers data even from virus infected memory card device, formatted memory card storage media, software/hardware failure and other similar data loss reasons. Supports all type digital media brands including Kingston, Olympus, Toshiba, Sony, Samsung, Transcend, and more popular brands in various storage capacity. Program is equipped with all latest disk scanning technologies to restore lost data files.